Real flexibility thanks to the Aircomfort backrest (57 cm high). 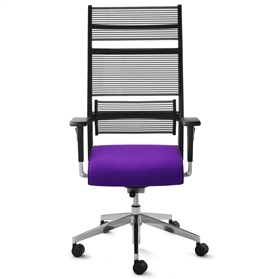 Lordo cuts a confident figure with its elastic, pressure-regulating tensioned backrest cover. A particularly innovative feature is the flexible lordosis segment which offers adaptive support for the back.